When links in chain saw chain wear out or are damaged and need to be replaced you’ll need a chain breaker to break the loop and effect a repair. So those who frequently operate chain saws will do good to invest in a solid chain saw chain breaker as this makes replacing your chain fast and simple. Also, should you ever need to shorten your chain; the chain press will come in handy as it cuts the chain effectively without damaging it. Though chain saw chain breakers vary in make and size, they are basically made up of a puncher and an anvil. The chain to be broken is aligned on the anvil and the rivet in the chain is punched out by applying pressure on the puncher handle. Different breakers are designed for different chains so make sure you get something that suits your budget and needs. Generally, a reliable chain breaker must be tough enough to sustain repeated pressure. Cheaper products may use softer materials for their punchers and anvils, making them easily susceptible to wear. This results in a short service life. Breaker tools that come with a long lever action handle provide greater force and require less exertion. Owners of a variety of chain saws should go for a chain breaker with adjustable anvils that can accommodate chains of different sizes for better value. Those who do a lot of chain repair work might also want to consider a two-in-one tool that includes a chain spinner. You can also choose between a portable, pocket-version or a more stable bench-mounted one. 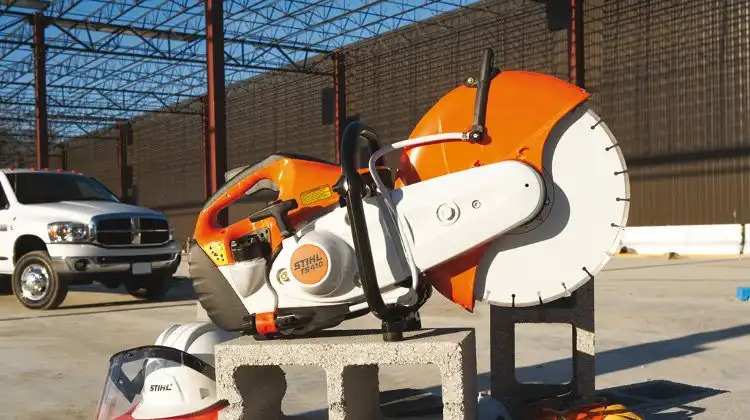 Bear in mind that whichever chain saw chain breaker you purchase, using it according to the manufacturer’s instructions will make it go a long way. Always make sure the chain rivet is perfectly aligned with the rivet puncher and never apply excessive pressure on the equipment.